The Jam2 6.7 Nine is the entry level 29er 140mm travel eMTB from Focus. 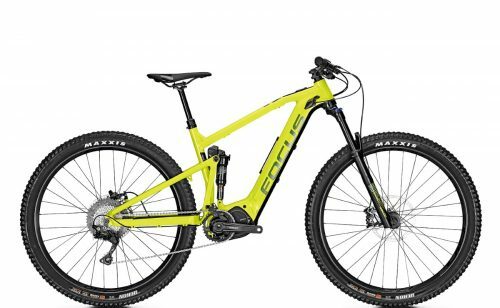 A few years ago, innovative German bike brand Focus introduced a new style and range of eMTBs sporting a number of very special features. The Jam2 6.7 Nine is their full suspension version 29er with a 2.6″ tyre width. The result is a very nimble and agile performer with great adhesion and ability. Dynamic on trails, the Jam2 copes easily with every manner of rough terrain. This gutsy performer guarantees to please. Shimano’s eMTB motor, the E8000 delivering around 70Nm+ of torque is the driving force behind the Jam2 6.7 Nine. It’s light at 2.8Kg, compact and slim. It’s Q Factor is identical to conventional cycles, and consequently, the bike feels very natural to ride. Furthermore, the motor design facilitates a shorter chainstay length, comparable to a conventional bike. Frame fit is perfectly integrated and sleek. In addition, three power settings feature on the E8000 with a walk assist function too. Assistance levels on the Jam2 6.7 Nine are operated via a Firebolt switch on the left-hand side of the bars. A compact yet clear LCD offers all the necessary information, sitting out of harms way adjacent to the handlebar stem. Totally unique to the Jam2 6.7 Nine is their own Dual Battery system. Focus call it T.E.C. (Tailored Energy Concept). The addition of a second battery increases capacity to a huge 756Wh for immense range. 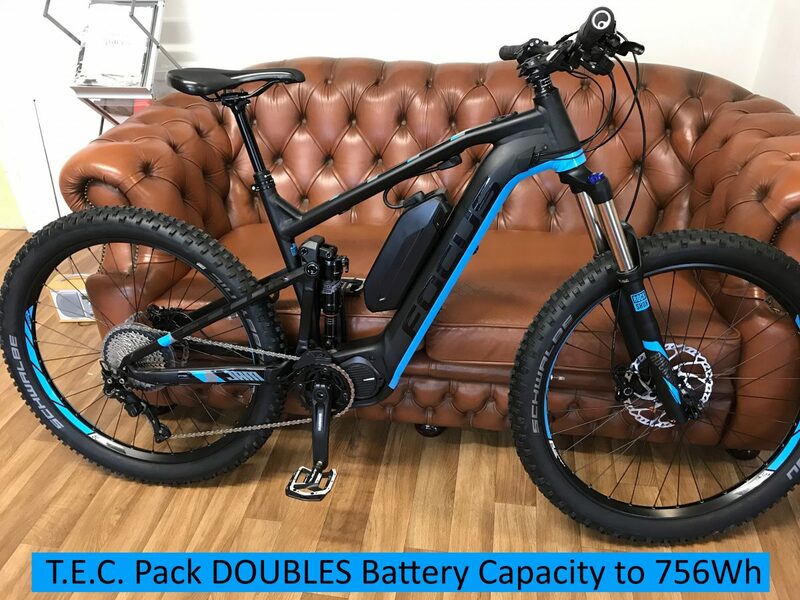 This is achievable by mounting another battery, which connects very simply, on the downtube. If an additional battery isn’t required, there’s room for the attachment of a water bottle if desired. This comes with its own compartment on the cage for carrying tubes or tools. Both the battery and bottle cage attach quickly and easily without any fuss. Front suspension is provided via a high spec pair of RockShox Recon’s with remote lockout and 140mm travel. No bump or hollow is too much for these high end performance forks. The addition of a dropper seatpost ensures total control over riding position on the descents. Plus tyres at 2.8″ ensure the Jam2 6.7 Nine sticks to the ground when called upon, whilst the 27.5″ wheel size is simply perfect for all terrain. A Shimano Deore 10-speed derailleur with an 11-42T cassette ensure more than adequate gearing. The front chainring is 38T, facilitating a natural riding experience. A super light alloy frame ensure reliable and resilient handling together with a high degree of maneuverability. Shimano Deore M6000 hydraulic disc brakes with large 203mm rotors front and rear offer powerful yet controlled braking actions. The Jam2 6.7 Nine is a great example of the next generation eMTBs. It’s a very well balanced and natural ride thanks to a great overall design and the fact that it weighs less than other eMTBs. The 70Nm high torque Shimano E8000 motor and dual battery option make it a unique experience.